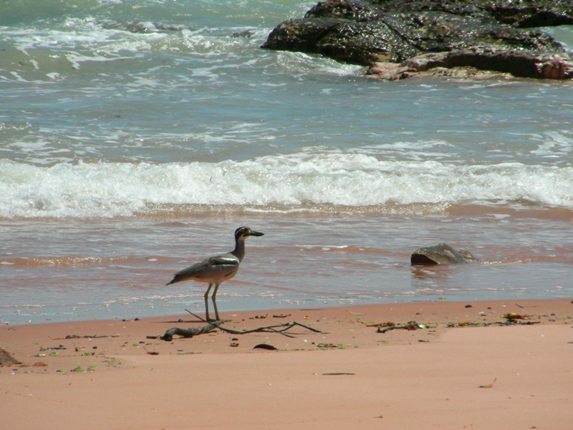 The Beach Stone-curlew Esacus magnirostris is the largest shorebird that we find along the coast around Broome. It is not common and despite their rather bold plumage they are heavily disguised amongst the rocks and even on the mud. We have heard strange banging noises in the distance sometimes and then come across a bird that is trying to crack a shell open for a meal. Other times you just hear this horrendous shriek and it has seen you and it does not want you in it’s territory. They do sometimes fly, but often they just march off screeching away. They are generally nocturnal, so no doubt get overlooked, but they also need to depend on the tide and we have seen both single and paired birds on several occasions. 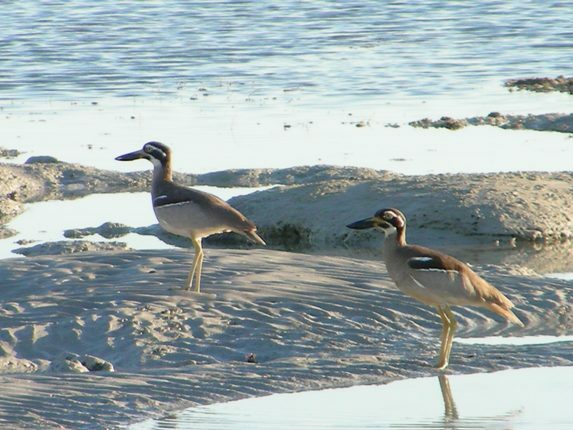 They were previously known as Beach Thick-knees, which was a good name! One of the bonuses about being out later in the day, as the tide goes out, is you may just come across these birds! Of course another bonus is that if there have been fires in the bush then you will also have a brilliant sunset………. Another great Aussie bird I haven’t seen yet! 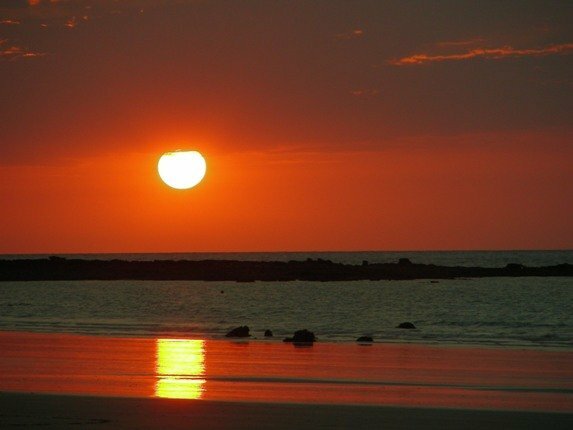 I need to get back to Broome. @ Jochen-no beach near you equals no Beach Stone-curlew. Note dull colours do not equal dull bird! 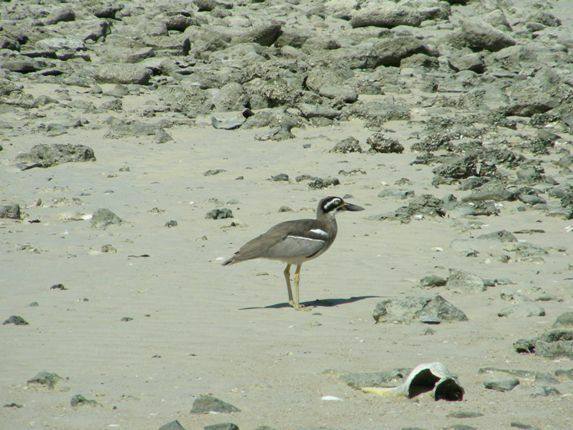 Wikipedia notes that the current scientific name of the Beach Stone-curlew is Esacus giganteus. What is the National Bird of Aruba?